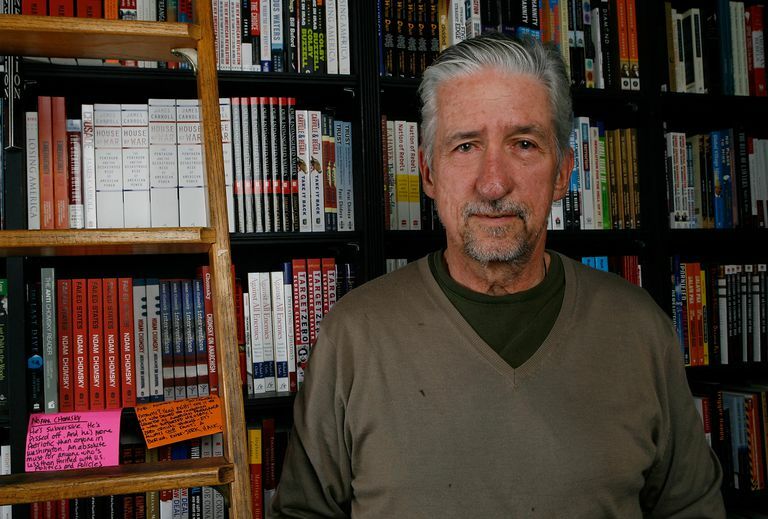 Tom Hayden at a 2007 book signing (Photo: Michael Buckner/Getty Images). Tom Hayden (December 11, 1939–October 23, 2016) was an American anti-war activist and the co-founder of Students for a Democratic Society. In later life, he was elected to public office in California. Hayden was born in Royal Oak, Michigan, to Genevieve and John Hayden. His father, a former Marine of Irish Catholic descent, was an accountant for Chrysler. The Haydens divorced when Thomas was ten, in large part due to John’s violent alcoholic tendencies. Hayden was raised by his mother and grew up attending Catholic elementary school, but he broke with the Church when he grew older. Hayden began his career as the editor of his high school’s newspaper. He then went on to attend the University of Michigan, where he served as the editor of the student newspaper, the Michigan Daily. It was at this time that he became more politically active, eventually co-founding the leftist student group Students for a Democratic Society (SDS). He met his first wife, Sandra Cason, through their shared activism, and the couple married in 1961. Hayden began his larger-scale activism as a Freedom Rider in the South, riding into the segregated South to protest the non-compliance with a Supreme Court ruling that had made segregated buses unconstitutional. As president of the SDS, Hayden drafted their manifesto, the Port Huron Statement, which became an early inspiration for the “New Left” and young, radical leftist movement in the United States. After divorcing Cason in 1962, Hayden moved to Newark, New Jersey, where he worked from 1964 to 1968 with inner-city residents and witnessed the 1967 “race riots,” which he attributed to more than just racial conflict. It was in 1965, however, that Hayden began his more visible and controversial activism. Alongside Communist Party USA member Herbert Aptheker and Quaker peace activist Staughton Lynd, Hayden visited North Vietnam, touring villages and factories. He continued his anti-war activities into 1968, when he joined the National Mobilization Committee to End the War in Vietnam and protested outside the Democratic National Convention. Those protests led to his indictment, along with several of his fellow protestors, on charges of incitement to riot and conspiracy. Their case became known as the “Chicago Seven” (named after the city where the convention and protests occurred), and although Hayden and other protestors were initially convicted of crossing state lines with the intention to riot, the decision was later reversed, and the government did not retry the case. Following the trial, Hayden continued to make highly visible visits to Vietnam and Cambodia, the latter of which had been drawn into the war under the Nixon administration. Hayden had become involved romantically with actress Jane Fonda, who was also an anti-war protestor and famously took a trip to Hanoi, the North Vietnamese capital, in 1972. The couple married in 1973 and welcomed their son, Troy Garity (given Hayden’s mother’s maiden name for his surname). He also founded the Indochina Peace Campaign, which organized anti-war dissent and fought for amnesty for those who dodged being drafted. In 1976, Hayden made his first political move when he challenged incumbent Senator John V. Tunney for a California Senate seat. Although he was initially viewed as a fringe candidate, he wound up finishing a strong second in the Democratic primary. In the 1980s, he served in the California state assembly and, in the 1990s, in the state senate. Hayden served on the advisory board of the Progressive Democrats of America, a political organization and grassroots political action committee created to advocate for more progressive policy within the Democratic Party. He also became a strong advocate for animal rights and authored a bill that improved protections for pets and shelter animals. Throughout his career, Hayden taught at the university level at several California universities. For the most part, his courses specialized in social movements, political science, and history of protests. He also authored or edited nearly 20 books. In 1990, Hayden and Fonda divorced; three years later, he married his third wife, Barbara Williams, a Canadian-American actress. The couple adopted a son, Liam, who was born in 2000. The 2016 election would be the last campaign season he participated in: although he reportedly supported Bernie Sanders early on, he publicly supported Hillary Clinton. However, Hayden did not live to see the results of the election. After a lengthy illness and a stroke, Hayden died on October 23, 2016, in Santa Monica, California. He left behind a large volume of published work, as well as a legacy of pushing for progress, even (and especially) when it went against the “establishment” thinking. Finnegan, Michael. “'The radical inside the system': Tom Hayden, protester-turned-politician, dies at 76.” The Los Angeles Times, 23 October 2016, https://www.latimes.com/local/obituaries/la-me-tom-hayden-snap-story.html. McFadden, Robert D. “Tom Hayden, Civil Rights and Antiwar Activist Turned Lawmaker, Dies at 76.” The New York Times, 24 October 2016, https://www.nytimes.com/2016/10/25/us/tom-hayden-dead.html. Schaffer, Scott. “Tom Hayden: American Activist and Author.” Encyclopaedia Brittanica, 7 December 2018, https://www.britannica.com/biography/Tom-Hayden.